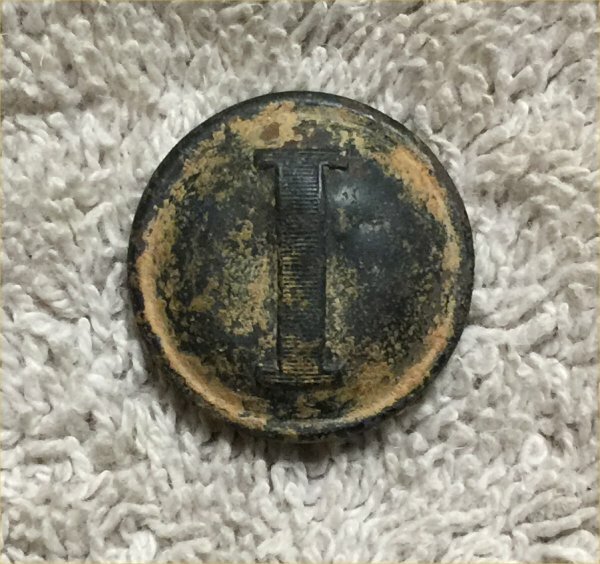 Description:Nice button for the price, this is a dug Confederate "I" button for the infantry. The "I" is decorated with horizontal lines hence the name. There is a slight push on the face but still looks good with nice patina. The back still has the hook though it is loose and bent but no danger of it coming out. 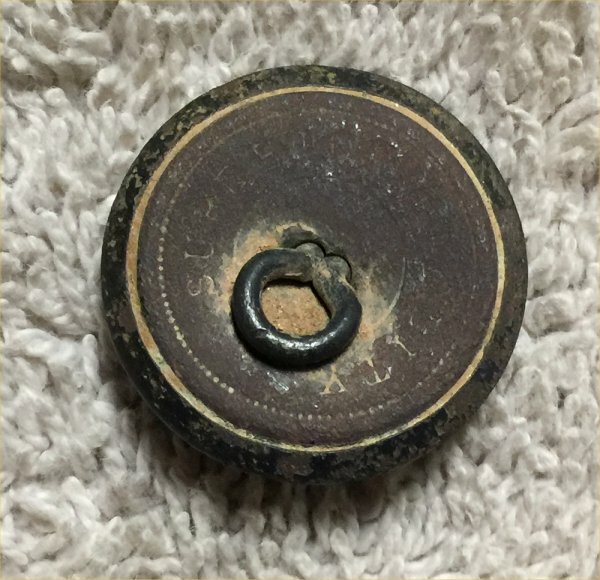 The backmark is worn but I am pretty sure it says "Superior Quality". Real nice ones are $250 but this is half the price and a good dug button.